5 Minutes for Fido: Do the Toki Poki and Turn Yourself Around; That's What it's All About! Do the Toki Poki and Turn Yourself Around; That's What it's All About! Oliver Does the Toki Poki! 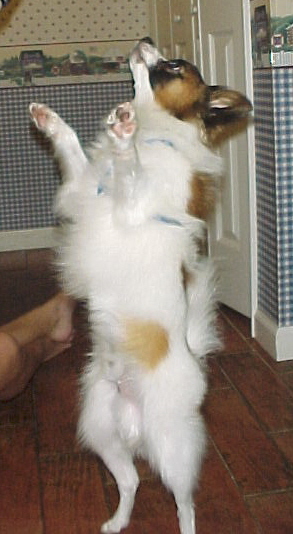 I have a lot to celebrate today, so I'm dancing--doing the Toki Poki. Today is my third birthday! I had a party yesterday with yummy goodies from Bone Appetit. We all enjoyed the goodies, and have leftovers for the whole weekend. Yeah! Today is also the day I get to announce the prize giveaway of the Toki Poki gift packages. There are Tshirts, Toki Poki trading cards, stickers, and dog food samples. Of course, no trading card collection would be complete without OUR cards, so mom is making sure Tanner's card and mine are included. Of course, my card is the coolest! So, what's up next? Tonight we start the big series: Woof and Meow. Mom is going to write lots of stuff about how to help kitties and dogs live happily under the same roof. She's been taking pictures of us for weeks. 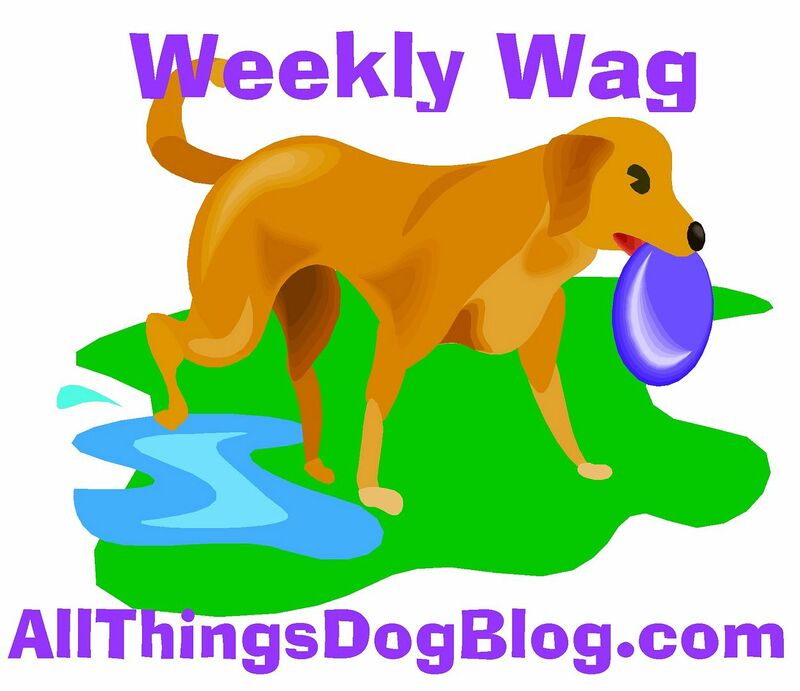 What's more, she'll be giving away some really big prizes, so watch All Things Dog Blog tonight and tomorrow for all the details. Meanwhile, I'm heading back to watch Patches and her new self-cleaning litter box that looks like a funny ball crawl. It sure is interesting! You'll get to see soon enough. See ya soon! AKC Treats: I'll Play You for a Trip to Big Lots! Diets for Dogs? Oh no! Respect our Cat? Who's She Kidding? More Tricks to Keep Pups out of Kitty-ville. Ugh! My Cousins are in Dire Need. Can You Help? What? No More Litter Box Raids?